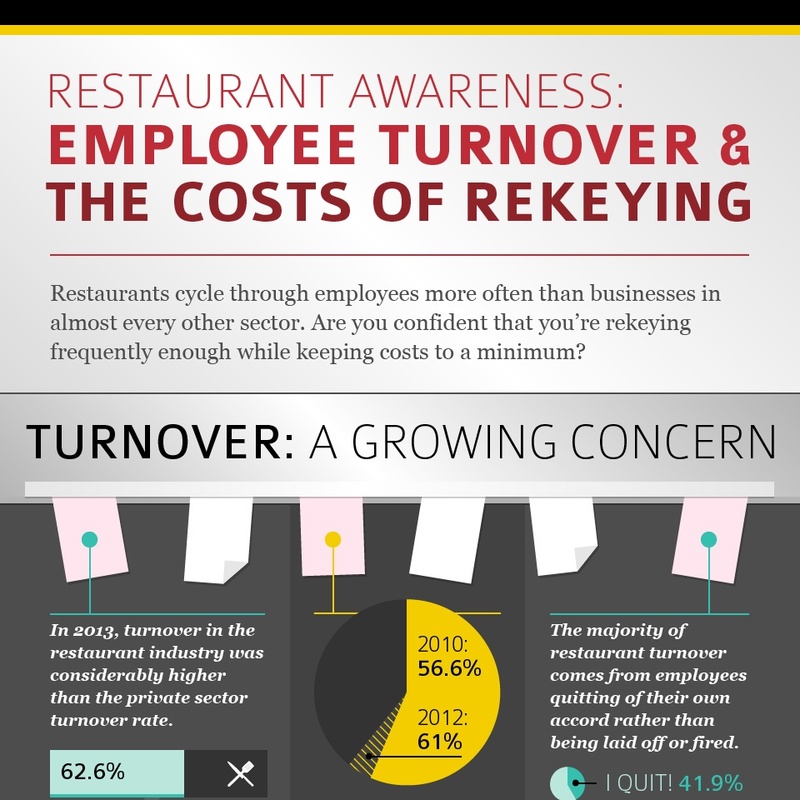 Restaurants experience a higher turnover rate when compared to the entire private sector. In fact, the food service industry sees a 73 percent turnover rate. This is significantly more than the overall private job market, which only experiences a 42.2 percent turnover rate, according to the National Restaurant Association. The upward trend of turnover has continued to grow over the course of the last few years and is primarily driven by employees who quit on their own accord. Members of staff are typically students, and these individuals cannot work full-time while also attending classes which forces many to quit their jobs. Approximately 28 percent of employees working in a restaurant also attend school, while only 11 percent of all employees across all industries are students. It’s no secret losing employees and needing to hire new ones costs businesses a significant amount of money. According to Inc., aside from training costs, losing employees can also leave existing staff overworked and tired which will potentially lead them to look for a new job and provide a lower quality of service. This can cost a business a great deal – especially those within the food service industry. In addition, employees with keys to access certain areas of an establishment who quit will cost the business a substantial amount of money. Managers will need to replace those locks to ensure their restaurant remains secure after employees quit or are fired. Rekeying the front door of an establishment and distributing five new keys costs about $200. This type of expense can really add up and cut into profits significantly especially with a high turnover rate. For example, a restaurant chain with 500 total locations would need to rekey 313 doors every year with the average 62.6 percent turnover rate. This equates to $62,600 in annual costs. Eliminating an expense associated with the high turnover rate in restaurants will help owners continue running their business and help promote overall success. Fortunately, there is a way to cut down on the amount of time and money spent on rekeying. With a key control system, managers can save money and still provide employees with access to the restaurant. Rekeying one door and providing five new keys to existing staff members only costs $36. Implementing a key control system translates to a potential annual savings of $51,332. In addition to providing an alternative to an expensive visit from a locksmith every time an employee quits or is fired, a key control system is a great way to secure a restaurant. Managers can distribute individually serialized keys to all employees that are nearly impossible to duplicate. If a breach occurs, a key control system allows managers to narrow down all keys that have access to a specific area. This system is also beneficial if a key is lost or stolen. Managers can deal with the issue quickly and restore security to the establishment promptly and conveniently.